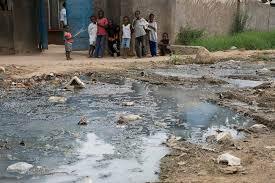 A CHOLERA outbreak has hit Manicaland province with three cases confirmed by the Health ministry. Manicaland provincial medical director, Patron Mafaune confirmed the new development to NewsDay yesterday, but said the situation was under control. She said that there was no reason to panic, but urged people in the province to exercise caution. “We have recorded three cases of cholera in Manicaland, we recorded two cases at Murambinda Hospital and one at Rusape Mission Hospital, but they are now in stable condition and they are managed well,” he said. “There is no need to panic, but I am urging members of the public to exercise caution and should wash their hands using running water,” she said. Mafaune said they had embarked on awareness campaigns in all districts. “We are urging members of the public that if they have signs and symptoms of cholera they should report at their nearest hospital or clinic,” she said. The cholera outbreak that began in Harare last week and has claimed about 16 lives has also spread to the Midlands province.